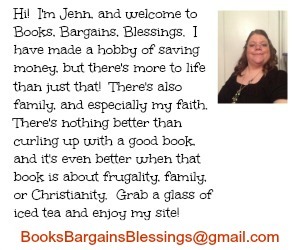 Books, Bargains, Blessings: Five Minute Friday -- "New"
Five Minute Friday -- "New"
New. This time of year, I think of new as school supplies. New pencils. New notebooks. New whatever-that-half-round-thing is you use for a few days in math class. New notebooks and writing instruments (pens, pencils, highlighters, markers, etc.) are my favorites, though. I love wondering what might be contained in a notebook. I don't have kids, but often use notebooks for journals, keeping notes, listing things. When I start a new blank book at the beginning of the year for my contest wins, I always wonder what will be in it. Will this year be the year I win that elusive car? What all will be filled in that book? A new calendar at a new year. What days will be significant? Will the year be dull enough that there will not be much to look forward to? You never know. When the year starts -- a school year or a new year it's open to all kinds of possibilities. Maybe something really great and life changing will happen. Of course, maybe something not so great and life changing will happen. Like a freshly sharpened pencil, a new year, new notebook, new journal all feel so fresh and clean. By December, there's no surprises left to be had in the newness of a calendar, and it's all marked up, a tribute to one more year gone by and all the appointments that were jotted down so you wouldn't forget you had that haircut on April 8th. 2. Link back here The Gypsy Mama and invite others to join in. I love the newness of anticipation too! :) Because there is always something to anticipate!